Before Guru Singh and Gurmukh Kaur, there was Shakti. Shakti Parwha Kaur Khalsa, the first Kundalini Yoga teacher in America not named Yogi Bhajan, is a tiny elder with boundless energy. Born in 1929, she explored spiritual realms long before the Beatles met the Maharaja. Her seeking led her to cultish communes and astrologers, to Sufi celebrations and Vedanta lectures, and finally, on Christmas Day, 1968, to her teacher. At the time she had been a single mother her entire adult life. Shakti worked hard and held waitress jobs at the Beverly Hilton and at the now defunct Pump Room in the San Fernando Valley. She met Yogi Bhajan at the East West Cultural Center. He could tell something disturbed her. “Your son’s in trouble, isn’t he?” asked the tall, olive-skinned stranger with bright eyes. Intrigued, she came clean. Her son, a recent army recruit, went AWOL and had been missing for weeks. Yogi Bhajan gave her a mantra meditation to chant daily for an hour before sunrise (Long Ek Ong Kaars). “If you do this, your son will be okay,” he advised. Shakti, not the typical 1960s forty-something, was no stranger to chanting, but the handsome yogi’s Ek Ong Kar mantra provided the most potent spiritual experience of her life. In the early morning darkness her energy aligned, her heart blossomed. Shakti had found her sadhana. Within days her son phoned and with Yogi Bhajan ‘s guidance, Shakti negotiated a discharge without legal repercussions. She was hooked. For the next several weeks the pair was inseparable. Yogi Bhajan arrived in LA nearly broke, with nothing but the clothes on his back. Shakti became his de facto guide and personal assistant, stretched his turbans and drove him everywhere, all the while absorbing his teachings. She helped arrange yoga classes in Alhambra, North Hollywood, and at an antique shop on Melrose that became the Guru Ram Das Ashram, where she, the Beverly Hills cocktail waitress in nylons, practiced shoulder to shoulder with patchouli doused, bead laden flower children. One day at the North Valley YWCA, Yogi Bhajan guided his students through the beginning of a yoga set and told Shakti, “Now you teach the class.” She was too stunned to protest as he walked out, and she had no choice but to teach. She hasn’t stopped since. Her drive to spread the teachings that have helped her find inner balance and peace is legendary. 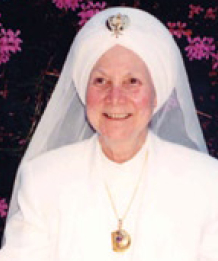 She was Yogi Bhajan’s right hand as he built the nationally known 3HO Foundation from the ground up. She is also an author. Her first book, published in 1996 Kundalini Yoga: The Flow of Eternal Power is the definitive text on kundalini fundamentals. Guru Singh calls it “the bible.” Her third book – this one an astrological guide written in verse – is in her agent’s hands. Shakti also recorded a mantra CD, is a contributing editor for Aquarian Times, a Sikh minister who performs weddings, and she facilitates the powerful meditation practice known as White Tantric Yoga. Through it all Shakti remains a maverick. Her take on men: “They’re a different species.” Her favorite new film: “Kill Bill 2 – I absolutely loved it”. The author she’s reading at the moment: “David Sedaris.” Her retirement date: “Never.” Surprising? Perhaps, but then again Shakti Parwha Kaur has never really acted her age. Happy Vaisakhi Guru’s Sangat ! The Mother of 3HO and a woman who will never compromise our values and teachings and is famous for her “don’t get married” talks to couples planning the date. She would challenge and question the couples….not an issue these days as too many people prefer to live together rather than commit to marriage. Perhaps now it would be a “don’t live togetehr” talk. Finally, at age 67 and a student new to Kundalini Yoga, I have found a group with Elders teaching and doing things in the world. I am so grateful, not to be alone anymore. God bless you dear Shakti ji and keep giving you your boundless energy to keep giving the mission of the Guru and the teachings of Siri Singh Sahib ji to the world! Shakti Parwha Kaur is truly living her name. Princess who is letting the Light of Guru’s powerful words and teaching of Siri Singh Sahib flow thru her. I have read about kundalini meditation through internet, please let me know where in the uk i can find where it is practiced. I live in london slough. Thanks. What became of her son? 111553233933712208 - People getting accupuncture and other treatments.